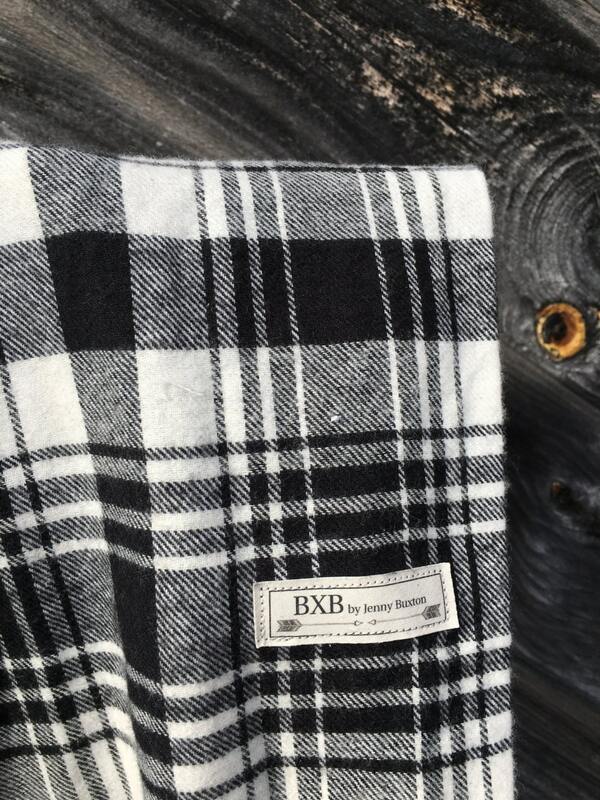 This 60" eternity is made of super soft - black and white plaid flannel. 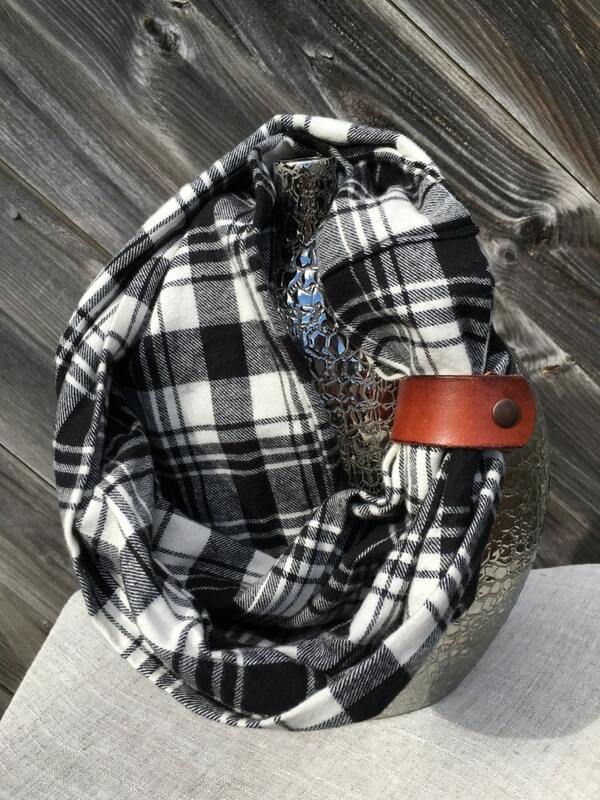 Incredibly cozy while being right on point with this seasons LOVE for plaid! 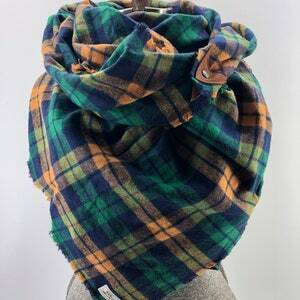 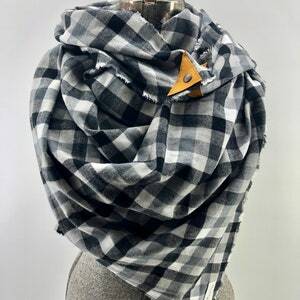 Wonderfully cozy scarf -- soft and pretty flannel. 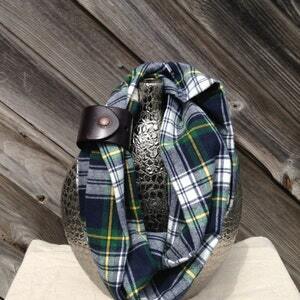 The quality leather cuff adds such a nice touch. Fast shipping and great communication with this very nice seller.